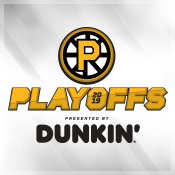 The Providence Bruins take on the Charlotte Checkers on Saturday, April 20 at 7:05 in Game 1 of the first round of the 2019 P-Bruins Playoffs, presented by Dunkin'. 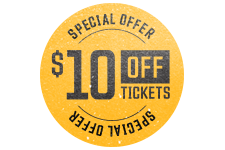 Be at the Dunk for all the excitement with a special $10 Off Ticket Offer! Be a part of all the excitement as your Providence Bruins begin their quest for the Calder Cup in the 2019 Playoffs, presented by Dunkin'. Round 1 features a matchup with the Charlotte Checkers, with Games 1 and 2 of the series scheduled for Saturday, April 20th & Sunday, April 21st at the Dunkin' Donuts Center. Save big on playoff tickets for Game 1 with $10 Off Tickets – a special ticket offer available for all home games in Round 1 of the 2019 Playoffs! Game 1 vs. Charlotte at The Dunk!